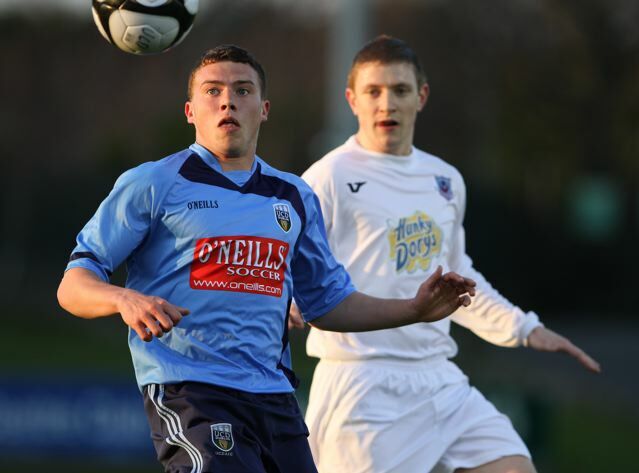 UCD overcame Drogheda at the Belfield Bowl on Monday after strikes from Dwayne Wilson and Keith Ward were enough to settle the tie. Both sides played far from full strength teams, but it was an entertaining game, with Wards late free kick - curled into the top corner - a particular highlight. The game started very slowly, with few chances for either side until the Students made the breakthrough. 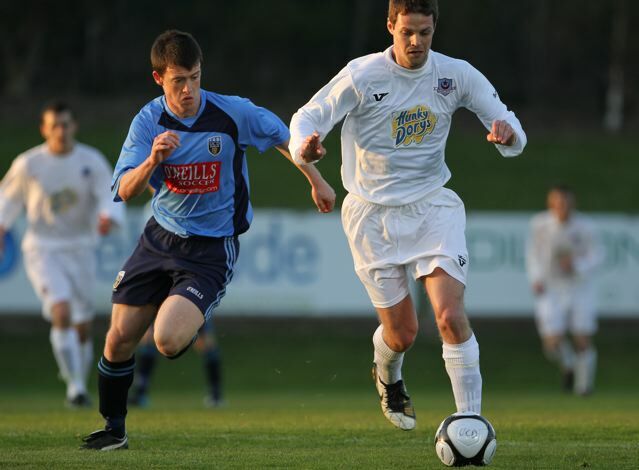 Dwayne Wilson picked the ball up in the Drogheda half, skipped by two defenders and blasted it into the top corner to awaken the tie. A minute later and it should have been 2-0. 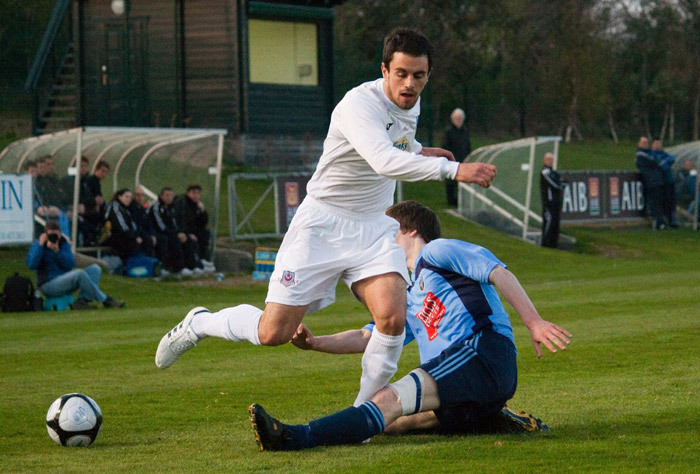 Graham Rusk also rounded two defenders in the box, before taking it by the keeper’. However from a very tight angle his shot was touched just wide. From the resulting corner a Michael Kelly header flew just over. 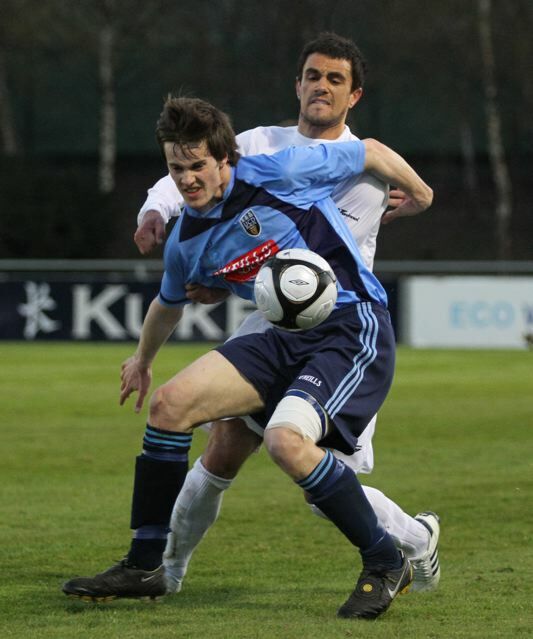 UCD were in the ascendancy with Graham Rusk and Sean Harding each having efforts tipped over the bar after promising moves before the break. 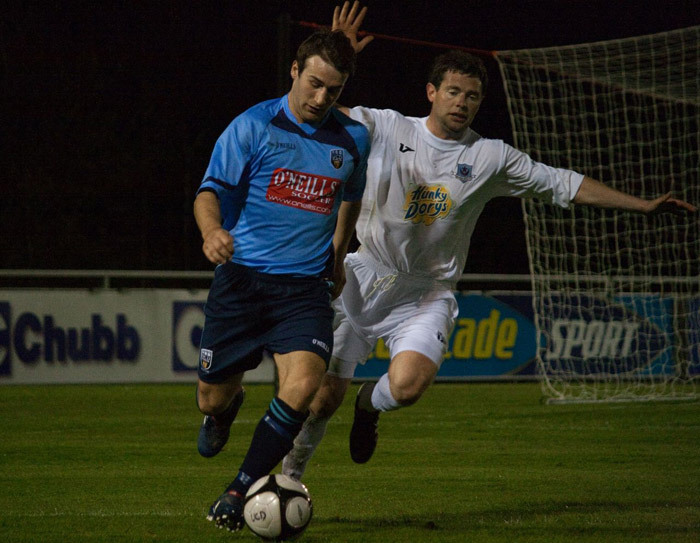 The second half proved the more entertaining of the two as Drogheda pushed for an equaliser. 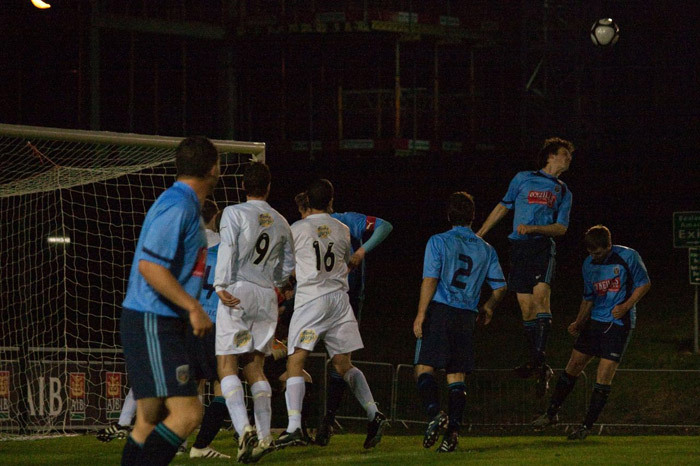 Drogheda played with more composure in the second half, winning five corners. Each of their corners were put in with pace, right into the action, but every second ball dropped at a UCD foot, with Drogs being able to finish it. Ryan Brennan should have did better when he was found at the back post by Brian King, but his header didn’t trouble Ger Barron. 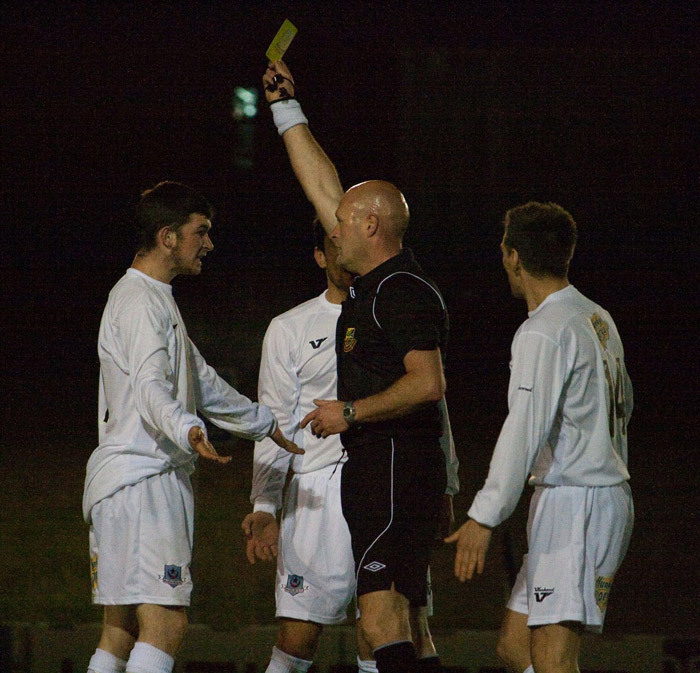 In the fifty fourth minute UCD broke down the right. After some nice play the ball was crossed into the box where Alan McNally was hit with the ball near his arm, before Skinner collected in the Drogs goal. 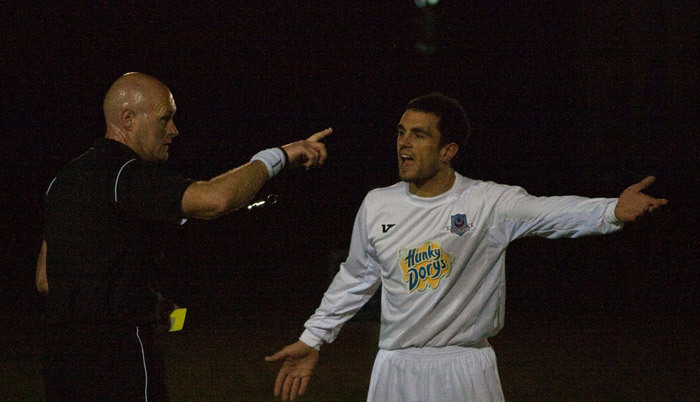 The linesman began flagging, either for a handball or for a backpass, but referee Richie Winter allowed play to continue. Both possible decisions by the linesman would have been very harsh. With time running out Gareth O’Connor’s twenty yard effort was tipped over by Ger Barron. 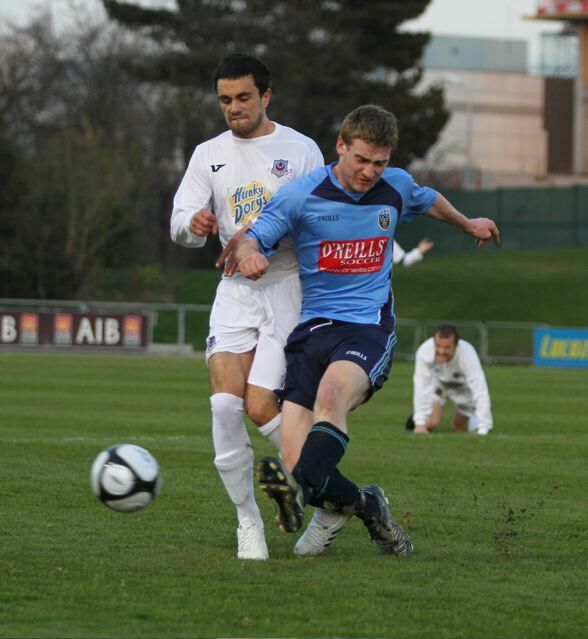 But from Drogs’ resultant corner, it was UCD who broke. Dwayne Wilson and Keith Ward countered, played a nice one two on the halfway line, but Wilson shot straight at the keeper when in on goal. 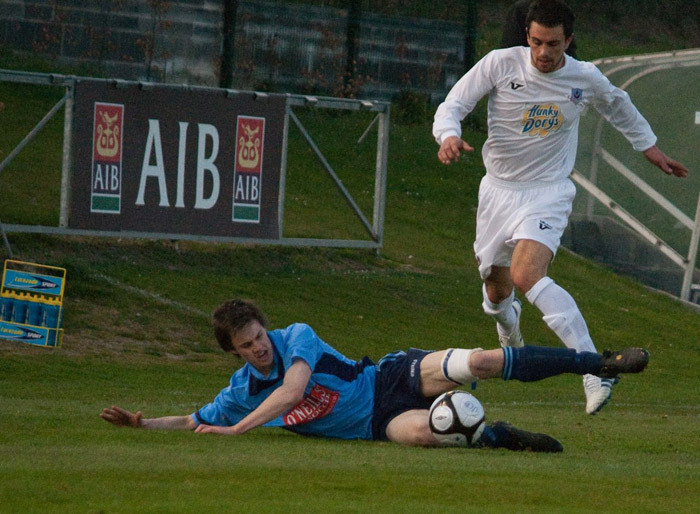 But with ten minutes remaining, UCD finally got the winner. Paul Crowley hauled down Graham Rusk on the edge of the area, before Keith Ward stepped up and fired it into the top corner. Subs: McGinley, Falconer, Houston, Melvin, McCabe, Fitzgerald, Russell. 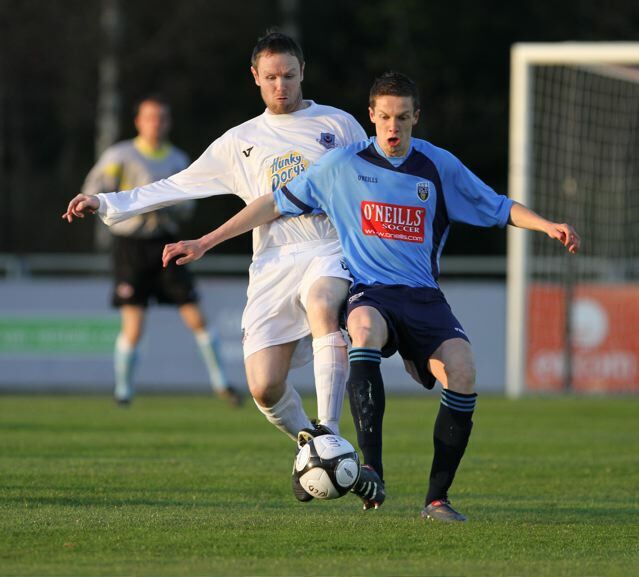 DROGHEDA UNITED: Skinner, Tracey, Kendrick, McNally, E McGill, B McGill, Duffy, Martin, Daly, Brennan. Subs: Murphy, O’Connor, Flood, Fitzgerald, Crowley.